Souces say that NBC has given it's culinary competition show, The Chopping Block, the ax after airing just three episodes. Ratings were lackluster, 3.8 million viewers with numbers decreasing with each airing. The remaining episodes will be aired sometime in the future. 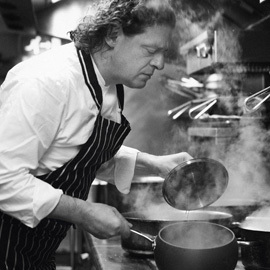 Chef Marco Pierre White, a British Michelin starred chef and the original Peck's Bad Boy didn't stir up enough controversy to drive the ratings. The time slot will be filled with reruns of Law and Order: Criminal Intent. The Chopping Block is was a culinary competition pitting teams of two against each other for $250,000 prize. Chef Marco Pierre White is known to have brought Exec Chef Gordon Ramsey to tears and have Mario Batali stomp out of his London kitchen. 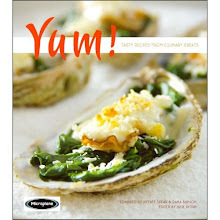 Read more about Chef White in his book, Devil in the Kitchen.